You’re ready to sell your house, and you’ve picked a real estate agent you trust to get the job done. That’s a big step toward your end goal. But before you can put your home on the market and show it off to the world, you need to make the deal with your real estate agent official. That’s where the listing agreement comes in—to establish a written arrangement between you and your agent, kick off the selling process, and set the stage for the next few months of your home sale. You might feel some nerves about that big, scary contract in front of you. And you likely have a lot of questions about whether the agreement you’re looking at is standard and to your liking. Here’s everything you need to know about the listing agreement so that you can sign on the dotted line with confidence and peace of mind. “The listing agreement is a legal contract between a homeowner who would like to sell their home for top dollar and a good, solid real estate company who would also like to sell their home for top dollar,” explains Armand Lenchek, who’s sold hundreds of homes and ranks in the top 2% of seller’s agents in Durham, North Carolina. The contract is a legally binding agreement that gives the real estate agent or broker the right to sell the home. There are several different types of listing agreements, but three of them are most commonly used. Exclusive Right to Sell Listing: The Exclusive Right to Sell listing is the most commonly used listing agreement among homeowners and real estate agents. It’s a legally binding contract that allows the real estate agent (or brokerage) full and total control over the transaction and rights to the agreed upon commission once the home sells. “99% of the time the listing agreement is a listing agreement where the listing agents are responsible for everything,” said Lenchek. In an Exclusive Right to Sell Listing Agreement, the real estate agent is given the rights to market the home, list the home on MLS, and receive the commission if the real estate agent closes a sale within the determined time frame. Any mistakes in the terms of the Exclusive Right to Sell Listing Agreement can affect the outcome of the sale and how much the seller will owe to the real estate agent, so it is important for the seller to understand what they are signing. Exclusive Agency Listing: In an exclusive agency listing, the homeowner allows one real estate agent or broker to try to sell the home. However, similar to an open listing, you have the right to find a buyer on your own. If you find a buyer on your own, the real estate agent would not receive any sort of commission. While this agreement allows you to fall back on the help of real estate agent if you can’t sell your home yourself, real estate agents are a little reluctant to spend their time trying to sell a property without a guaranteed commission when it sells. Open Listing: The open listing agreement offers the lowest level of commitment. Any real estate agent who brings you a buyer can land the commission AND you reserve the right to sell the property on your own (without paying a commission) if you find your own buyer. But, odds are that no real estate agent will take you on as a client because any other real estate agent could scoop their commission. Plus, according to the 2017 Profile of Home Buyers and Sellers by the National Association of Realtors, only 8% of home sales were sold by the owner and typically went for less than those sold by real estate agents. So, if you choose an open listing agreement you might end up doing all the work to sell your house, and you’re likely to make less money on the sale. What Goes Into a Listing Agreement? The listing agreement, particularly the Exclusive Listing Agreement, involves everything––from what’s included in your home sale (appliances, chandeliers, etc.) to real estate agent compensation. The contract lays out the terms of how the real estate agent can promote your home. This includes the use of the MLS, internet marketing, lockbox, and for-sale signs. There are also clauses that adhere to Equal Opportunity Housing, attorney fees, and dispute resolution and mediation. You will also grant the agent the rights to use the listing content which includes photos, graphics, videos, drawings, virtual tours, written descriptions, and any other copyrightable elements relating to the property, according to the National Association of Realtors. 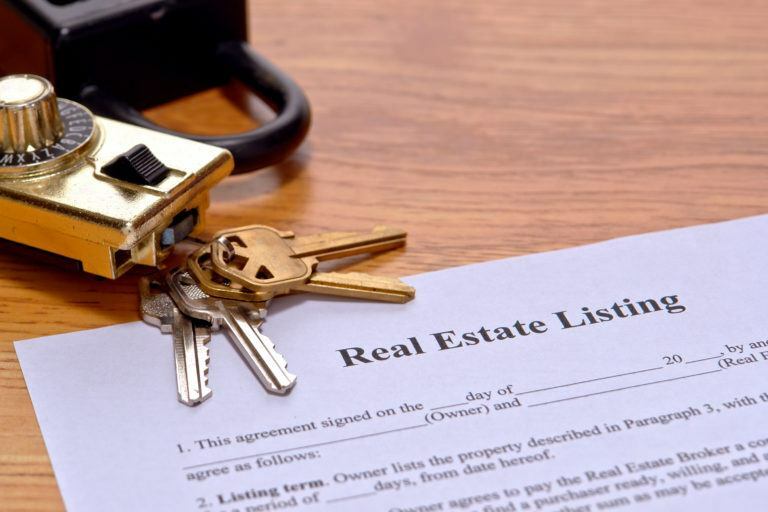 The terms involved in the agreement serve as the foundation of your entire real estate transaction, so it’s extremely important that you read each line carefully. Do You Have to Sign a Listing Agreement? If you want to sell your home using a real estate agent, you absolutely have to sign a listing agreement, according to Lenchek. If you choose to list your home as for-sale-by-owner (FSBO), you do not have to work with a real estate agent, and therefore do not have to sign a listing agreement. When Do You Sign the Listing Agreement? According to Lenchek, it all depends on the situation. While some homeowners sign the listing agreement on the first meeting, others may wait weeks or months until they are ready to sell their home. Whatever the case, a listing agreement will be signed once you are ready for your real estate agent to start marketing your home. How Long Does a Listing Agreement Last? A listing agreement is valid from the date you sign it until the expiration date. The expiration date depends on a few factors and varies by situation. The condition of the home, the current real estate market, and homeowner’s needs are all factors that play a role in how long a listing agreement remains valid. Typically, a listing agreement will last from two to six months from the time it’s put on the market. Lenchek mentioned that if a house needs a lot of maintenance, or if the homeowners were in a different state, the owner may sign the listing agreement ahead of time even though it may be two months until you put your house on the market. The expiration date also depends on the real estate market and the comparable homes in the area. If every comparable home in the area has sold in less than 60 days, you may want to sign up for a two-month contract. Ultimately, the expiration date of the agreement can be negotiated with your real estate agent. What Can You Negotiate in the Listing Agreement? As Lenchek puts it, in real estate, everything is negotiable. If you’re uncomfortable with certain terms, say something to your real estate agent or real estate broker that they work for. If they refuse to negotiate, you may want to consider finding a different agent or a different brokerage. Be careful though. Some negotiations may send a real estate agent walking. Expiration date: Real estate agents want to be confident that they will sell your house, so they may want a longer expiration date to give themselves plenty of time. If you believe your home is particularly special and can sell faster than the time frame suggested by the real estate agent, you have a right to negotiate. Most real estate agents will listen to a homeowner’s concerns and find a way to compromise. Commission: Most listing (or seller’s) agent commissions are between 5% and 6% and are typically split with the buyer’s agent when the deal closes. The commission percentage is decided on when signing the listing agreement, and then becomes part of the MLS listing, so it can’t be changed once the agreement is signed. Legally, you can negotiate compensation percentage, but it could affect the sale––and your real estate agent isn’t required to accept your terms. A big chunk of real estate agent fees goes to marketing your house, so lowering the commission could lower the quality of marketing for your home. Keep in mind, if you negotiate your real estate agent’s commission to a lower percentage, you also reduce the compensation a buyer’s agent would receive at the deal’s close. Unfortunately, some buyer’s agents may secretly steer clear of showing homes that offer a low commission, though the practice is technically unethical and frowned upon. The decision is ultimately yours, but be aware that a lower commission could slow down your buyer foot traffic for reasons outside your control. Type of Listing: You have the right to choose the type of listing agreement they want to use. While most real estate agents choose to sign an Exclusive Right to Sell agreement, you can negotiate a different agreement. However, this may make it harder to find a real estate agent to work with, which could hold up your sale. List Price: The listing agreement will specify what you will list your home for. Your real estate agent will determine a recommended list price based on market data, comparable homes that have sold in the area, and condition of the home. As the homeowner, you have a right to negotiate the list price. In most cases, it is best to go with a top real estate agent’s recommendation. Duties: The duties of a seller’s real estate agent includes things like listing the address of the home online, posting a sign in the yard, and creating a list sheet. If you have any issue with these things or the other duties listed in the agreement, you can negotiate them with your real estate agent or the broker that your agent works for. What Should You Look Out For in a Listing Agreement? Since a listing agreement is a legally binding contract for a major financial investment, it’s important to look out for red flags before you sign. To save yourself from a bad real estate experience, work with a top-performing, experienced real estate agent. Here are 7 red flags to look out for when you sit down to sign a listing agreement with your real estate agent. Check the agent’s real estate license. It’s probably a formality (especially if you found your real estate agent through HomeLight) but you should always make sure your agent is legally allowed to sell real estate in your state. Ask if they work as an agent full time. While part-time real estate agents often do a fine job, they may not be able to devote quite enough time to your sale. HomeLight’s data shows that part-time real estate agents rarely break into the top 3% of performing agents in their area nationwide. Read reviews. An experienced real estate agent will have client reviews to support their reputation. If you can’t find any reviews online, ask your real estate agent to provide a list of client referrals. Don’t pay them anything up front. You should never have to pay a real estate agent before your home is sold. If an agent or a brokerage requests a payment before signing the listing agreement, don’t sign it and find a new agent. Negotiate the terms. If you aren’t comfortable with the terms of the listing agreement, ask the real estate agent to change them. A top real estate agent or broker will be willing to compromise for the needs of the client. Check the expiration date. Be aware of the expiration date of the listing agreement. If the agreement lasts longer than what you had in mind, don’t sign it until you bring it up to your real estate agent. Know the commission. Make sure the commission written in the agreement is the amount you and your agent agreed on. If you make changes to the contract, don’t sign it until the changes are fixed. How Do You Terminate a Listing Agreement? Technically, a listing agreement is a contract so there’s no provision for it to be terminated. Before signing the listing agreement, you can ask your real estate agent if they’ll allow written terms for ending the contract early. Some real estate agents and brokers will allow that, and some won’t. If you’re unhappy with the services of your real estate agent during your home sale, you can ask them to let you out of the contract. Lenchek said he’ll always write in a client’s terms for cancellation if necessary. He also added that if you signed with a brokerage and you are unhappy with a particular agent, you can ask to switch agents in the same brokerage without breaching the contract. “Real estate is a service industry. If you’re not prepared to give top-notch service to your clients, you really shouldn’t be in the business,” Lenchek said. He adds that in the rare case that a homeowner is unhappy with his services, he’ll let them out of the agreement without any trouble. What Is the Protection Period in a Listing Agreement? The protection period in a listing agreement is specifically there to protect the real estate agent. For a certain amount of days after the contract expires, if any of the potential buyers that the seller’s agent brought in actually buy the home, then you will still owe them the commission. What Is the Mediation and Dispute Clause in a Listing Agreement? The mediation and dispute clause in the listing agreement simply states that if there is a disagreement between you and your real estate agent in the duration of the contract, you will meet with an impartial third-party to try to work out any issues. It is meant to avoid unnecessary legal issues between you and your agent in the midst of the home sale. Does a Listing Agreement Cost Me Anything Upfront? What Happens to the Listing Agreement if My Home Doesn’t Sell? Once a listing agreement expires, the contract is terminated and the house is taken off the market. You will be free to either look for another real estate agent or broker, extend the listing agreement with your current real estate agent or broker, or take their home off the market completely. Understand what you’re signing and communicate with your real estate agent. The listing agreement will control your entire home sale, from the list price of your home to the amount you owe your agent when it closes. Negotiate the terms that you are uncomfortable with and find a top real estate agent to get you through a home sale stress-free. And as always—read the fine print!